Introducing an effective and fun device that provides a gentle foam surface upon which to clean your records. Even if you have a well built sturdy turntable, it just doesn't feel right pushing down on the platter to clean that record. All the while wondering if a bearing might get damaged or an automatic mechanism jammed. Now just lay out this pad on a desk to support your record and worry no more. Center peg holds record in place while you clean. Corner peg for CD/DVDs also. Relieves stress on your turntable by not using platter as work surface. Closed cell foam structure resists trapping dirt. Wet or dry record cleaning compatible. 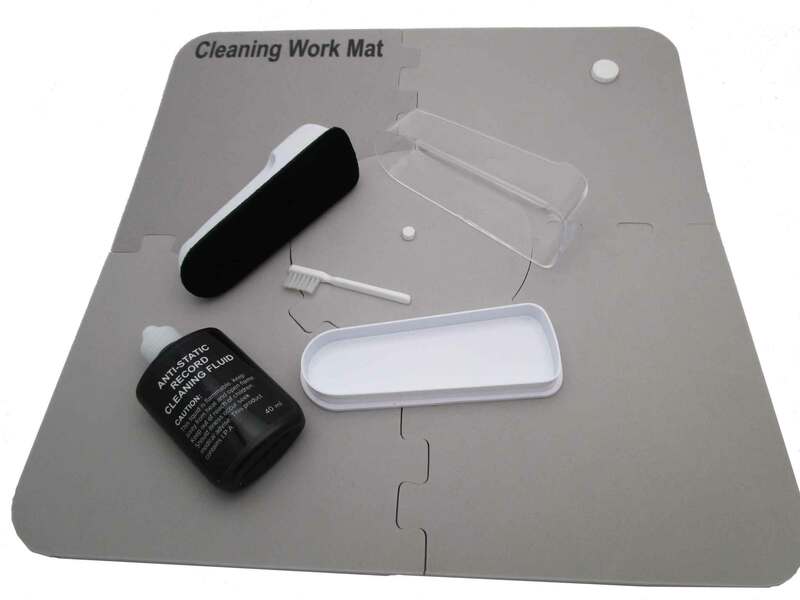 The vinyl record cleaning work mat is such a handy item. I do not have a power record cleaner and rely upon some good cleaning solution, an old turntable, and goat hair cleaning brushes to handle the process. Upon removing a dampened record for the final drying process, I place it on the cleaning mat and remove any lingering moisture with a micro fiber towel. The mat holds the record firmly with a small amount of hand or finger pressure and I know the record will not suffer from abrasion or unnecessary friction to damage the grooves. 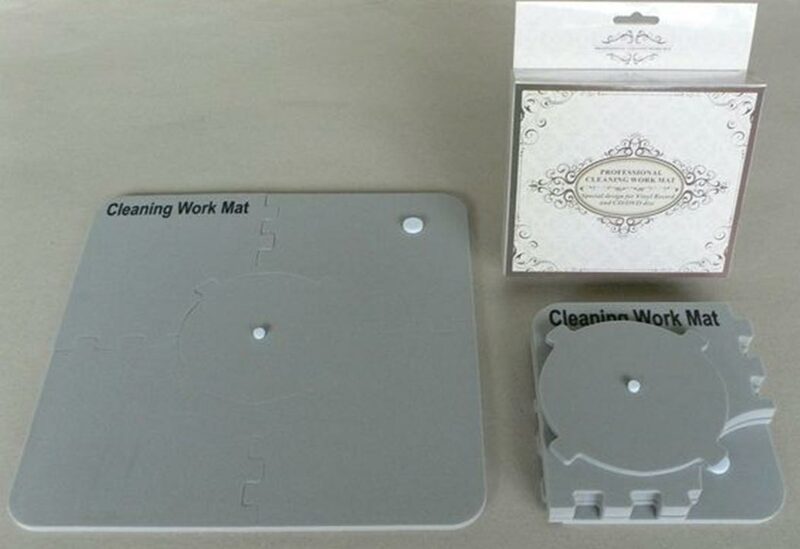 Vinyl Record Cleaning Work Mat. Simple, easy to assemble, and does the job.